Want to see some adorable cuteness?? 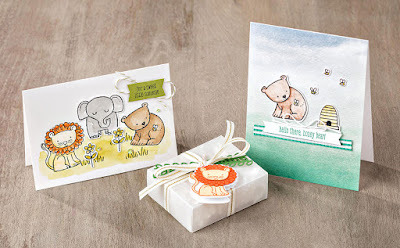 These cards were made by the Stampin' Up! Design team and shared exclusively with Demonstrators to help in our businesses. BUT...we get to share them with you!! I cannot wait for my very own stamp set to arrive in my next shipment. Isn't this set just the cutest!! 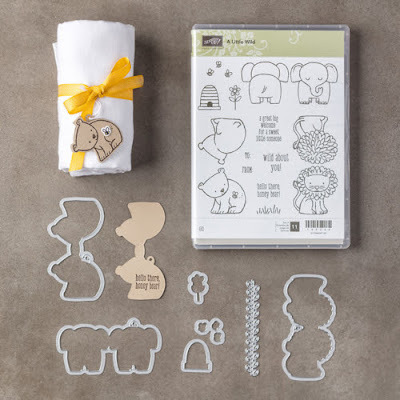 So many options - When you stamp your images you stamp the front and back at the same time and the coordinating dies also cut them out and you can use them as a gift tag. But as you see in the photos you can use the front only (or the back only) It is totally up to you, of course! I have a baby shower to attend in August and I can't wait to use this set with her gift. Don't forget to use the Hostess Code when checking out! Hope You Are Having COOL Summer! Paper Pumpkin & So Much More! !